During the president’s address, Merkley will host asylum seekers Albertina Contreras Teletor and her young daughter, Yakelin Garcia Contreras. They were separated for nearly two months. Merkley says the experience of this mother and daughter and thousands of other stories of child separation should send a powerful message to Donald Trump and his administration. “That Americans do not accept with our tax money, on our land, under our government, the abuse, the horrific abuse of children,” the democratic senator said. 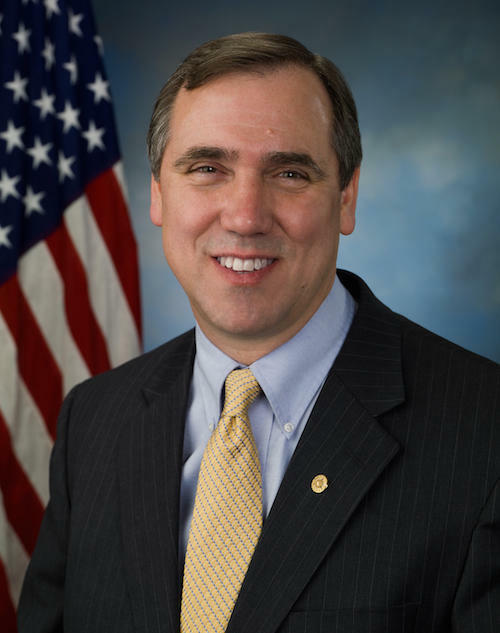 Merkley, a staunch critic of the president, has made trips to Texas to inspect family detention centers and migrant child internment camps. Merkley’s guests will be seated in the gallery for the State of the Union Address. He says Tuesday will be Yakelin’s 12th birthday. Oregon Senator Jeff Merkley spoke to constituents outside Kiva Grocery in Eugene today (Friday) to talk about the country’s income gap. He hopes to fight growing inequalities with a couple of pieces of legislation. Oregon’s U.S. 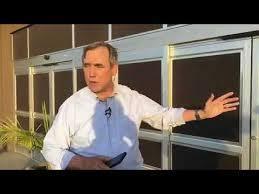 Senator Jeff Merkley arrived in Texas Friday. He’s leading a congressional delegation to investigate the Trump administration’s treatment of detained migrant children. As the 116th Congress gets underway, a pair of legislative proposals are being announced – including one by Oregon’s Senator, Jeff Merkley - that Democrats say are key to restoring American democracy. Increased funding and more modernized firefighting tools are being sought by a group of bipartisan senators, including Oregon’s. As KLCC’s Brian Bull reports, this push is being driven by increasingly hotter and larger wildfires. City Club of Eugene: DACA Dreamers: They Get The Job Done! What’s DACA All About? Most American citizens are the children or grandchildren or great-grandchildren of immigrants. We know from our own family stories that whatever our roots, we found pathways to inclusion in the community, to productive places in the workforce, and to wide-ranging spots on the social and political spectrum. Is the situation of immigrants different today? Are the immigrants themselves any different? In this panel, we will hear from two experts on DACA—Deferred Action for Childhood Arrivals.